I’m a novice writer, exercising that right to write by… writing! This is my personal blank canvas. Random thoughts and rants prevail. SoCal native. I enjoy networking with people from all over the world. I’m very random and spantenous. Train-of-thought never had this many derailments–or lack of survivors. 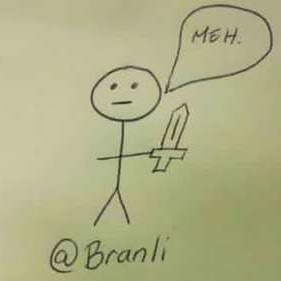 Email: email at branli dot me.